Your Island Experience Begins with a Quick Stop at Padre Island Rentals! When you get to the South Padre Island Causeway you are almost there. After crossing the causeway and arriving on South Padre Island, proceed to the second stoplight, turn left and go north on Padre Blvd. Travel up Padre Blvd for about 1.75 miles. 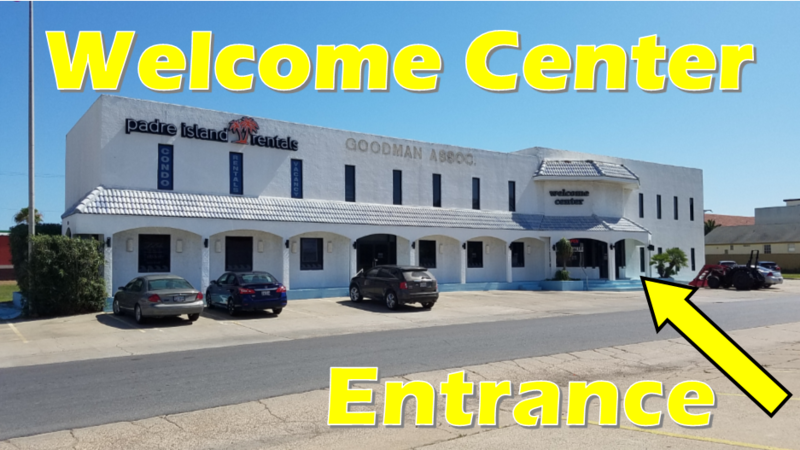 The Padre Island Rentals Welcome Center is on the right side of Padre Blvd. Some things to look for along the way, on the right hand side, are a fun kite shop followed by an IGA grocery store called the Blue Marlin. Make sure you are in the right lane. Just past Speedy Rentals (golf carts, jeeps, beach bikes and more) turn right onto Kingfish St.
Padre Island Rentals, 3100 Padre Blvd, South Padre Island, TX 78597. Come on in and let the fun begin. Still Need Help? Give us a call – 956-574-5800.